We went to England this past spring as self-styled “IPA Hunters” on a mission to learn more about the confusing and often contradictory history of India Pale Ale—to look for some certainty where those before us have found mostly mystery and mercantilism. While our success in this pursuit is open to debate, there can be no question that we returned home inspired by the ghosts of Burton and by the experience of poring over 150-year-old brewer’s logs handwritten in (India?) ink. Stone Brewing Co., after all, traces its lineage back to the British Empire’s brewing history: We make ales, and all of our original offerings used traditional British styles as a jumping-off point. If this seems a roundabout way of letting you know that, yes, we are in fact brewing another IPA to mark our anniversary, well, so be it. This one, however, promises to be different! From the imported white malt to the “Burtonised” water to the rare yeast strain to the most pungent hops Kent has to offer, we used all British ingredients to brew our “Emperial” IPA. * While we may have brewed Stone 14th Anniversary Emperial IPA with our own distinctively modern, San Diego-style touch, what good is history if you can’t rewrite it to suit your tastes? In this case, our tastes called for highly intemperate quantities of Target, East Kent Golding and Boadicea hops, bestowing upon this dry-bodied ale a powerfully spicy, earthy aroma. On the palate, peppery hops assert themselves early and often, with malt sweetness making a brief appearance before being beaten back by a long, complex, and decisively bitter ﬁnish. What better way to contemplate the fate of empires past, present, and future? *Um, except for our ﬁltered Colorado River water, of course. 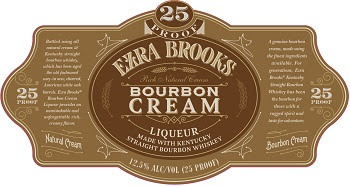 Ezra Brooks® Bourbon Cream perfectly marries natural cream and bourbon whiskey for a rich, creamy flavor that is the perfect choice for the colder months of the year. Kavalan ex-Bourbon is a delightfully complex, multi-dimensional single malt whisky, with vanilla, fruit and coconut highlights. Matured in hand selected American ex-Bourbon casks, the whisky is available at cask strength and non chill-filtered hence retains the fuller flavour of the natural single malt whisky. “I’m pleased to share the fourth release in the Booker’s Bourbon 2016 Batch Collection, Batch 2016-04, also called “Bluegill Creek.” This batch honors my dad, Booker Noe, and one of his favorite pastimes – fishing for bluegill. When I was selecting this batch, the hot and humid Kentucky summer weather reminded me of the days Dad and I spent together on the water. We used to go down to the creek and sit for hours, hoping to reel in some bluegill to fry up for dinner. When my son Freddie was a boy, Dad took him fishing too, and I know it’s a tradition that will continue to live on. I guess you could say fishing for bluegill runs in our family, so it seemed like a natural fit to name a batch in honor of one of Dad’s favorite pastimes. I know Dad would enjoy “Bluegill Creek” for its signature flavors of robust vanilla true to every Booker’s batch. If he were here today, he’d sit down by the water with a glass of this bourbon in one hand and a fishing pole in the other. Booker’s “Bluegill Creek” batch is made up of barrels from four different rack houses and five different production dates. 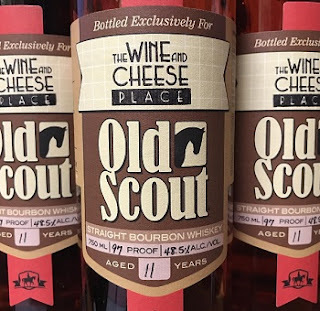 It is bottled at 128 proof and was aged for 6 years, 5 months and 28 days. It was unseasonably warm even by Kentucky standards on the day that I selected the barrels for this batch, and it brought me back to the hot summers that my Dad, Booker Noe, and I spent together fishing for bluegill. When selecting this batch, I wanted something that could be enjoyed in the summer heat while staying true to Booker’s Bourbon standards, and I think Dad would be proud of how “Bluegill Creek” turned out. This batch would make a great Kentucky Tea, which was one of Dad’s favorite ways to enjoy his Booker’s and includes a healthy splash of water in the glass, which really opens up the flavors and aromas of the liquid. “Bluegill Creek” contains the robust flavors of vanilla that Dad always looked for when selecting batches of Booker’s, and I know he would be proud to have a batch of his bourbon named after one of his favorite pastimes. 11 year old barrel with a high rye content of 36%, this fine whiskey has exceptional taste and smoothness. Non chill filtered, non carbon filtered. It’s strong, but deliciously drinkable like all of Smooth Ambler’s offerings. Bold, sweet-spicy flavors with subtle apple, cherry and tobacco aroma. STiVO—an immaculately conceived mashup of their respective craft pilsners, STS and Pivo. Both brewers say that STiVO is as much a testament to personal friendship as professional collaboration. Brynildson noted that when the Cilurzos built their brewery, Vinnie Cilurzo would call regularly seeking technical input. Conversely, when Firestone Walker established its Barrelworks wild ale facility, the brewing team leaned on Cilurzo for his expertise. Cilurzo even gifted his original bottling line to Barrelworks. 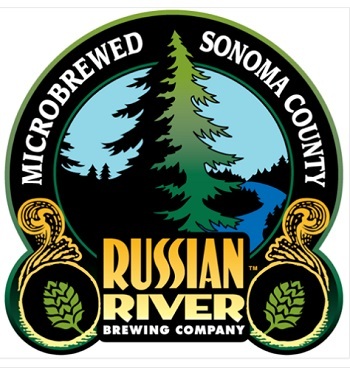 In 2014, when Russian River was undergoing a brewhouse expansion, Firestone Walker temporarily brewed Pliny the Elder to help keep the taps flowing (“That was the ultimate collaboration,” Brynildson said). Both brewers are also founding members of Hop Quality Group. That inspiration finally struck when they began discussing the idea of a collaborative pilsner to commemorate the 2016 Firestone Walker Invitational Beer Fest. “Neither Matt nor I started out as pilsner brewers when we each got our start in the craft beer industry, but it’s a style we are both passionate about,” Cilurzo said. The result is STiVO, a happily arranged marriage of the STS and Pivo recipes. “Our water philosophies and malt profiles were already essentially the same, and our yeast strains were pretty similar, so it really came down to how we wanted to handle the hops, and the overall weight of the beer we wanted to make,” Brynildson said. Cilurzo and Brynildson ultimately split the hops down the middle between Pivo’s German Saphir hops and STS’s Alsatian Aramis hops, both of which belong to the new wave of European hop cultivars. Cilurzo and Brynildson also bumped up the front-end malt for a slightly higher gravity and a resulting ABV of 6.3%, a distinct notch above the 5.3% of STS and Pivo while still remaining dry and super drinkable. Also, like STS, STiVO was racked to kegs unfiltered and will be presented in the classic keller style, naturally carbonated and slightly hazy. 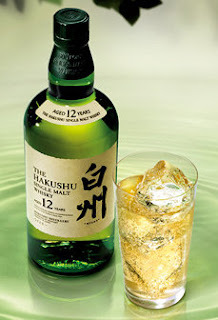 Straight from the untouched forests, mountains, and pure waters of the Southern Japanese Alps, it is no wonder that Hakushu is a "green and fresh" whisky, praised by the most curious whisky connoisseurs and lovers of gastronomy. Its crisp and vibrant feel, unique in a single malt, enlivens and liberates your senses.Rich fruity aroma combined with soft smoke. (lowest price on Wine-Searcher is $31.99)A fabulous value, the inky colored 2014 Cotes Catalanes Tandem comes from Maury and offers classic notes of chocolatey dark fruit, licorice, graphite and bouquet garni. Full-bodied, rich and layered, with a big mid-palate and no shortage of texture, it makes the most of this cooler, difficult vintage and will drink well for 5-7 years. Gilles Troullier made the highly rated wines for Chapoutier's Bila Haut for over 10 years. Now he has started his own project. Here in Colorado we are blessed with abundant natural beauty. Smokejumpers are those fearless wildland firefighters who specialize in parachuting into the wilderness so that we can continue to enjoy it. Smokejumper Imperial Porter is a tribute to them – a twenty-one degree plato porter made with barley malt hand- smoked by our brewers. Roasty brown in color, the long lingering smokiness wraps around flavors of molasses, toasted malt and an earthy hoppiness. Here’s to smoke in your glass, not in the woods. Smokejumper is the official beer of The National Smokejumper Association. www.smokejumpers.com. FRIDAY NIGHT TASTINGS AT BALLWIN. Every Friday from 5-7. We will be tasting a featured winery/region. This week is Bordeaux time!! Wonderful aromas of black olives, meat and currants. Hints of fresh mint. Full to medium body, with sublime tannin texture that feels like the finest silk. A finish that lasts for minutes. Palate has amazing energy, richness and freshness. A great wine. So layered and balanced. 93% cabernet sauvignon and 7% cabernet franc. Drink or hold. Suave and refined, with rich, dense flavors of dried berry, dark plum, rose petal and bramble. Offers fine-grained tannins and accents of green olive. Finishes with hints of hot stone, dried beef and white pepper. Complex. Drink now through 2022. 7,400 cases made. Templeton is, and always has been, a railroad town. During Prohibition, local bootleggers would smuggle Templeton Rye aboard livestock trains bound for Chicago and Al Capone. As the years passed, the world around Templeton changed, but the railroad is still here and so is The Good Stuff. 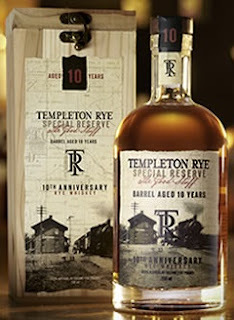 Featuring a smooth body and a long finish, the Templeton Rye 10 Year is a testament to the people and the strong community spirit of Templeton, Iowa. For the last decade they’ve lived at the heart of our brand, and like the trains chugging through town, that’s never going to change. All bottles will be sold in a commemorative box and hand-numbered. 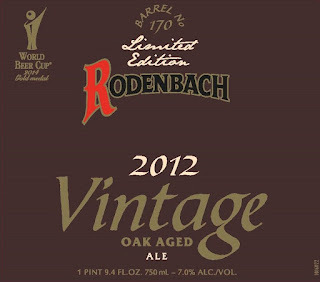 Only 6,080 bottles will be available for this one-time bottling, highly allocated collector’s item. We have not seen this in 20 years it seems like. The base beer is the recipe of 2014 Stone Homebrew Competitionwinner Chris Banker, an intensely flavorful milk stout brewed with cocoa, coffee and spices to mimic the flavors of Mexican hot chocolate. 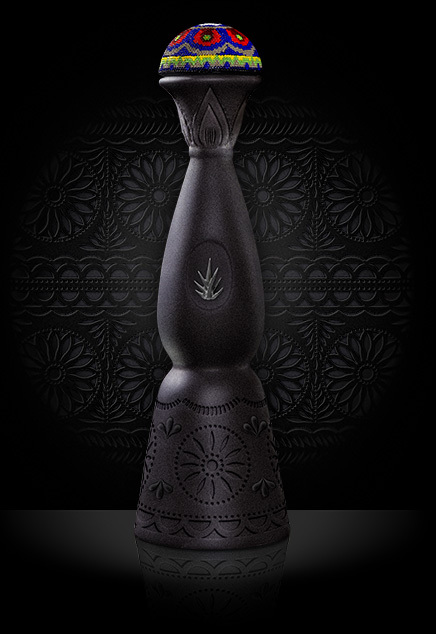 Mezcal Clase Azul made from wild Cenizo Agave, grows wild in the State of Durango where the extreme climate, the rich minerals of its soil, and the source of natural springs in the area, give particular force and complexity to its notes, making it an entirely different mezcal than what is produced in the rest of Mexico. They do not buy their juice, the own and produce it. 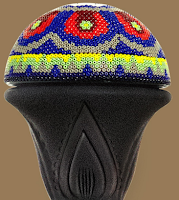 In addition, its unique and colorful top is hand-crafted by artisans belonging to the Wixarika or Huichol culture. 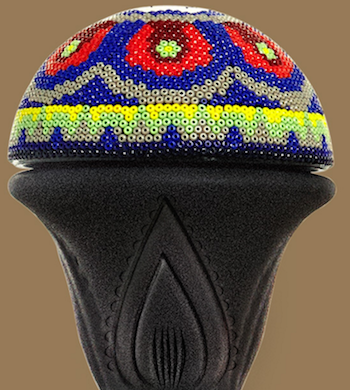 Each piece that a Huichol artisan creates, using beeswax, resin, a needle, and individually placed beads, in a special way represents their roots and their traditions that race back to ancient times. In this instance, combining images that together reference the origins of mezcal. 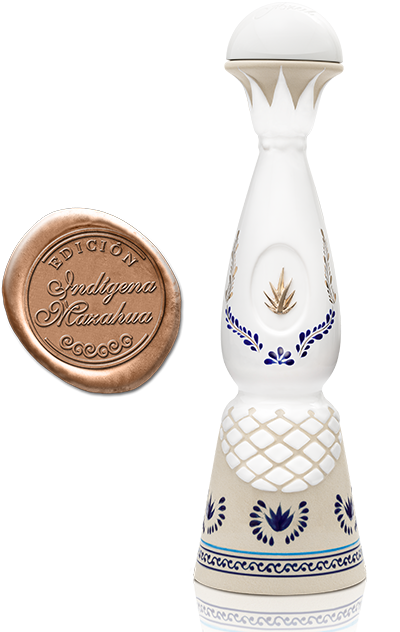 Clase Azul Añejo “Edición Indígena Mazahua” (or Mazahua-Edition) is the fruit of two worlds that meet. It symbolizes the union of authentic Mexican indigenous roots (represented by the unfired clay) with European glazing techniques, result in a combination of history, art, and the highest quality tequila all making Clase Azul Añejo a truly exemplary expression. Wachtum means “Growth” or “Cru”. Planted in 1998 with 110 diverse genotypes and several rootstocks, the golden-yellow colored 2015 Grüner Veltliner Smaragd Wachstum Bodenstein displays a deep, yet very clear and pure, fascinatingly aromatic bouquet of ripe fruits and crushed stones. Full-bodied, complex and very salty, this is a rich and highly elegant as well as intense Veltliner with great tension and a stimulating grip and salinity in the finish. Great complexity and length. Hinter der Burg is an important “calling card” wine for the winery and showcases Prager’s stylistic signature of aromatic complexity coupled with power and nervosity. High-density planting and long hang times ensure ripeness and power while practices such as allowing leaves to shade the fruit allow for vibrant aromatics of grasses, herbs and wildflowers. This is a clear brilliant lemon colored white wine with notes of peppery arugula and watercress on the nose, along with zesty lime ring, kumquats and wet slate. The palate has similar flavors of Daikon radish, kumquat, lime, white grapefruit, peppery watercress and tangy clementine. 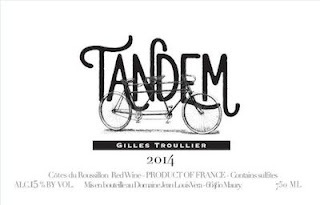 This is a high quality wine with balance of acidity and long length. Made by some of the best Chardonnay winemakers in California, Jim and Bob Varner, the value-priced 2014 Chardonnay released under the Foxglove label sports a light gold color to go with exotic notes of pineapples, melon, citrus blossom, spice and hints of green herbs. Supple, forward and straight-up delicious on the palate, with no hard edges and a clean, classy profile, it's a steal at the price and will drink nicely for a year or three. malt character with a subtle hint of sweetness in the finish. Overall, this ale leaves you with complex and flavorful roasty characters that are balanced with dark chocolate flavor. There’s nothing more seasonal than knocking the snow off your boots, huddling up with a blanket and enjoying a beer with the majestic Missouri winter landscape in clear view. 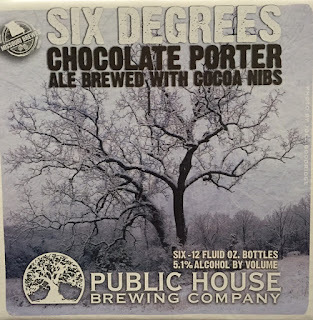 This chocolate-infused porter is just the beer for that moment. 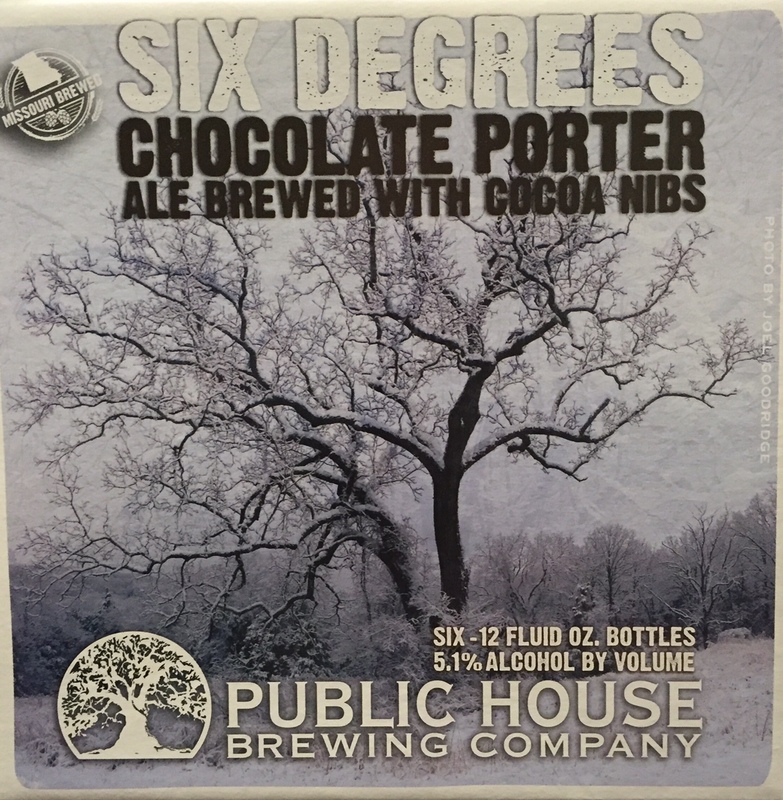 Customers will imagine themselves lighting a fire and warming up with this roasty seasonal. 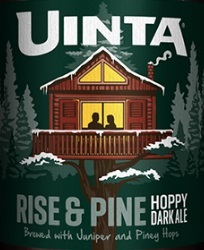 Juniper and piney hops build the framework for this bold dark ale. 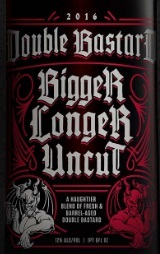 With its assertive bitterness and smooth malt finish, this beer stands tall above the rest. ARROGANCE. DOUBLED. BARRELED. SERVED STRAIGHT UP. My arrogance has metamorphosed into a peatier, haughtier, boozier, doubler, more “er” of everything version of itself. Unlike the malted substance, which abetted my materialization, you don’t have chiseled iceberg chunks or fizzy, sugary pop sugar crystals at your disposal to cut me or soften the unbridled intensity of my righteous state that is liquid arrogance. Go ahead. Try me. This Islay whisky barrel-infused ale could put a lion’s mane on a hairless cat. TASTING NOTES: This red rye IPA has a subtle kick from the Rogue Farms rye up front, full malt body throughout, and plenty of hops in the finish. We all enjoyed it and know you will too. 11 INGREDIENTS: 2-Row, Munich, Rogue Farms Dream Rye, 40, C75 & C120 Malts; Rogue Farms Liberty Hops, Centennial & Simcoe Hops; Free Range Coastal Water & Pacman Yeast. Rogue Yellow Snow IPA - now in cans!! TASTING NOTES: Pale golden in color with a hoppy fruity aroma. Big hop flavor up front complemented by medium body and hoppyness mid-palate. It finishes with a characteristic, lingering bitterness. 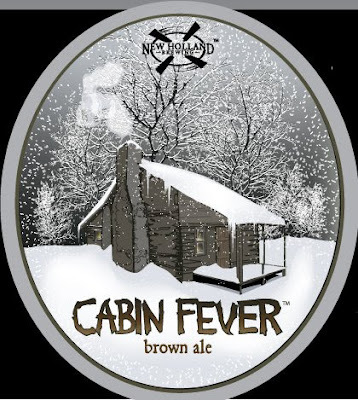 ABV = 6%"Winter Seasonal - Cabin Fever is a roasty brown ale and a hearty, comforting companion for long, mind-bending winters. Its rye, roast and raisin notes play off a subtle caramel sweetness and culminate in a dry finish. Cheeses to try: Gruyere & Smoked Cheeses"
When this was first released a few years back, I remember it was crazy, people were fighting for it! We could not keep it in stock. We were buying 20+ cases at a time. "This seasonal beer is brewed in the Do It Yourself (DIY) spirit along with our friends from Bayfield at the Venture Snowboard Factory. 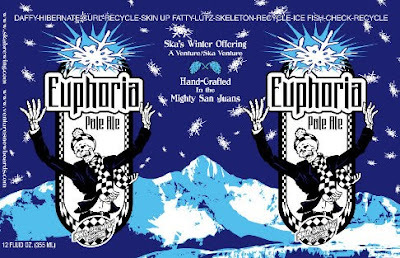 An India Pale Ale, the Euphoria is crafted with piles and piles of Golding hops to provide a unique spicy finish. Great for after hitting the slopes. Anarchic enlightenment: (1) Brewed in strict accordance to D.I.Y. methodology, the beer of choice for epic powder days. 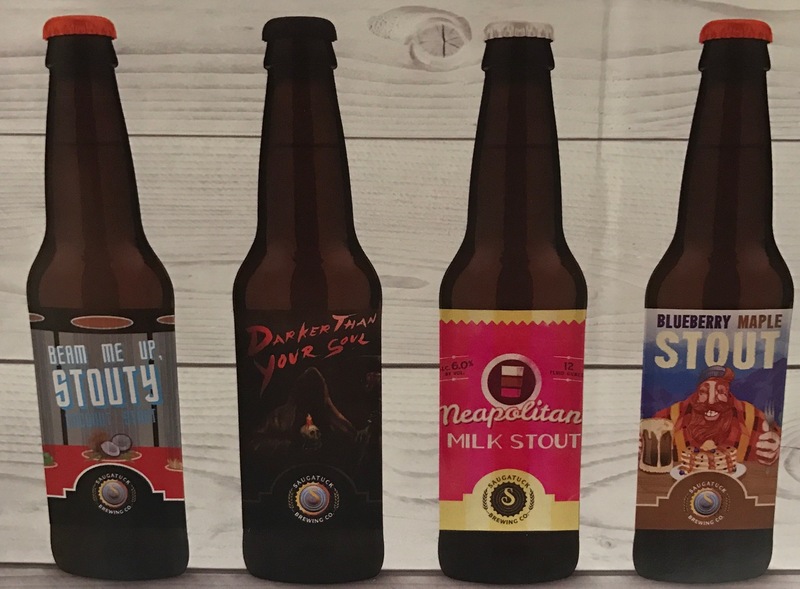 (2) brewed and bottled by ska brewing company, durango colorado using the finest hops, yeast, malted barley and san juan waters. Another 20 cases arrived at this great price! "Best by end of 2019" - lots of life left in it! Straffe Hendrik Wild is only once a year bottled. 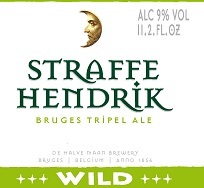 Straffe Hendrik Wild is a wild version of the famous Straffe Hendrik Tripel. This traditional beer is re-fermented with "Brettanomyces' yeast, which creates separate fruity flavors that harmonize with the rich use of aromatic hop varieties. The wild yeasts give the beer a longer shelf life and flavor natural evolution over the years. The beer has a longer aging in bottle before it can be released. Only after three months in the cellars is completed, the fermentation of the wild yeasts and the young beer drinkable. However, the beer continues to evolve in the years following. The bitter hop aromas become softer, while the wild yeasts continue to work and are fruity and floral aromas. Aver Mephistopheles Stout finally back!